Wellesley Hills, Massachusetts – July 13, 2017 – Gulf Oil and Discover Financial Services, today announced the launch of a summer savings campaign geared to reward consumers for downloading the new Gulf Pay app and linking their Discover card as the preferred payment method. 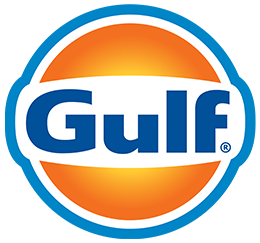 By downloading the free Gulf Pay app and linking a Discover card within wallet, users will automatically start saving $.15 cents off on each gallon of gasoline (up to 20 gallons per visit for a total of 18 visits) when utilizing their Discover card for payment at participating stations throughout New England and New York. The campaign will provide users with exclusive savings starting July 13th and running through October 15th. Gulf Pay, like a digital wallet, offers a convenient and seamless shopping experience by allowing users to link their Discover card and securely pay at the pump with their mobile phones while utilizing token encrypted data. Users can also use the app to locate the closest Gulf station, access live pricing and reliable directions, and view station offerings.